This Solutions section is designed to help you learn about the theory and practice of liquid chromatography to aid you in selecting the best Tosoh product for your application. The section is organized by product group and contains an overview of the products within the group, suggested applications. Tosoh offers an assortment of products designed to facilitate your work whether it is in research, development, quality assurance, or production. Our portfolio of over 500 specialty products encompasses all common modes of liquid chromatography and coupled with our expertise, we can help you purify/characterize any protein, peptide, polymer, enzyme, nucleic acid, antibiotic, or small molecule. 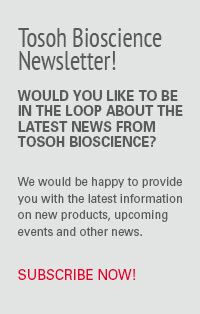 Please also refer to our Technical Support section for additional insight into chromatography and our products.